JPR Tiling has been appointed by Concero London for the ceramic tiling contract at Furzecroft, St Georges Hill, Weybridge, Surrey. 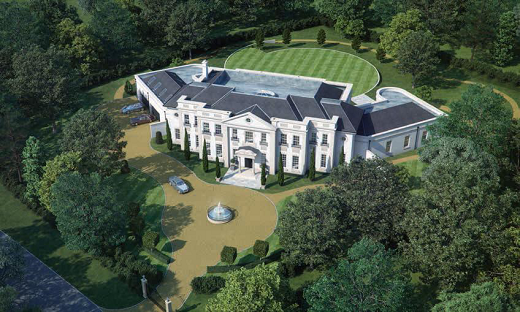 We are delighted to be involved in this prestigious £18m Mansion project. The project consists of 5 high specification bathrooms and hallways with a combination of Porcelain, Stone and Mosaic tiles from Domus Tiles and New Age Stone. Julian started his Tiling career at the age of 18 as an apprentice and worked for many respected London tiling contractors before deciding at the age of 21 to start his own company. Julian has successfully completed many flagship projects in London and worked with most major contractors and Architects in the UK.